Lyab-i-Hauz--"near the pool"--is a set of buildings, plausibly enough, around a pool. 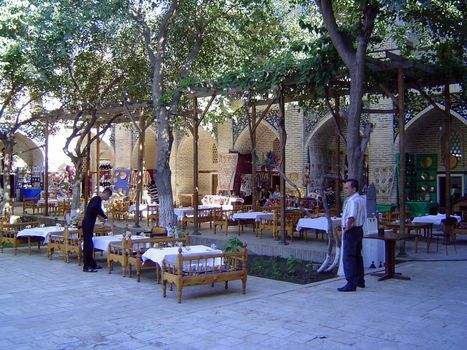 The pool, with ancient mulberries, was dug about 1620, when Nadir Divanbegi commissioned this khanaqah or dervish hostel. 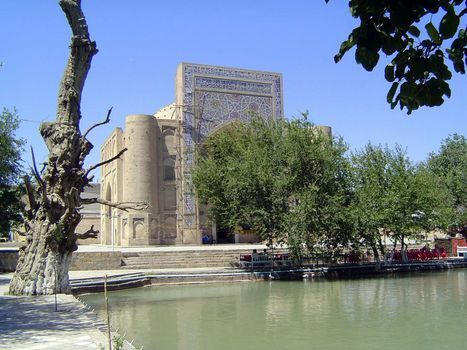 The pool, cleaned up after centuries of pollution, is fed by the city's main canal, the Shah Rud. 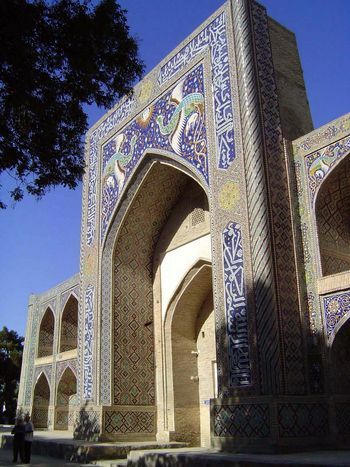 On the opposite side of the pool is the Nadir Divanbegi Madrasa of 1622, built originally as a caravanserai but quickly put to religious purpose. 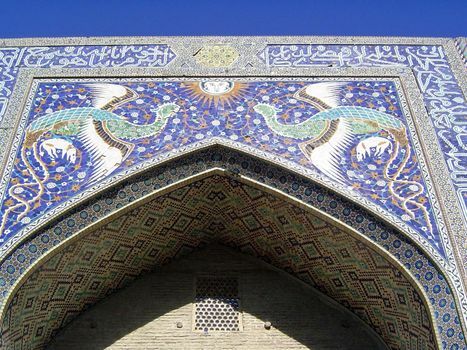 The decorative phoenixes or simurgh are a violation of most interpretations of the Qur'anic injunction against representational art. Close to the pool but much older is the Kukeltash Madrasa of 1568. 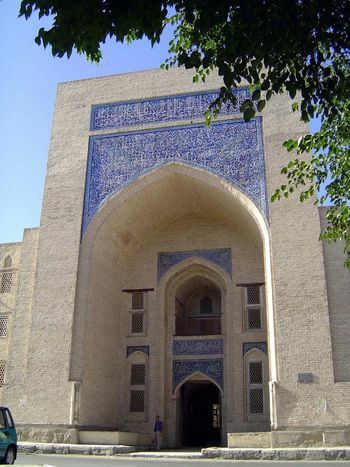 It's named for Kulbab Kukeltash, a senior figure in the administration of Abdullah Khan II. 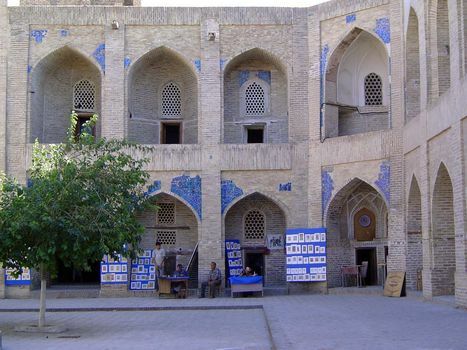 The interior, like most madrasas in Bukhara, is given over to small shops--in this case, painters of miniatures with local subjects. The pool itself has become a social center, rimmed with poolside chaikhanas or tea houses.